Our latest new has gone out as a mailshot, you can find the latest version here. In this mailshot we have the latest race report (of the first Sunday races) with the results. You can find the sailing ladder initial list, anyone not on the list who wants to join add your name to the bottom by contacting the club. 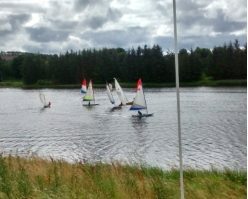 This entry was posted in News and tagged mailshot, race report, sailing ladder on April 8, 2019 by Erwin Oosterhoorn.